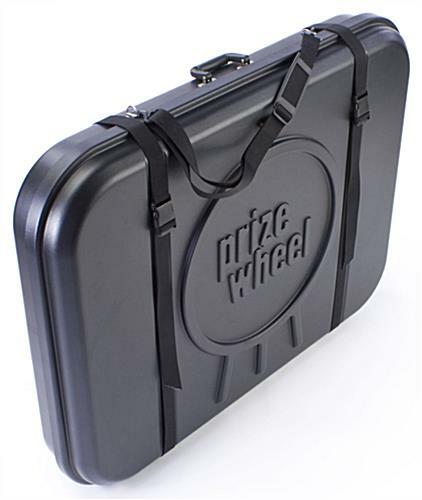 This transport case is designed to keep a 31" prize wheel protected while traveling (see related products.) The shipping container is equipped with recessed foam inserts. 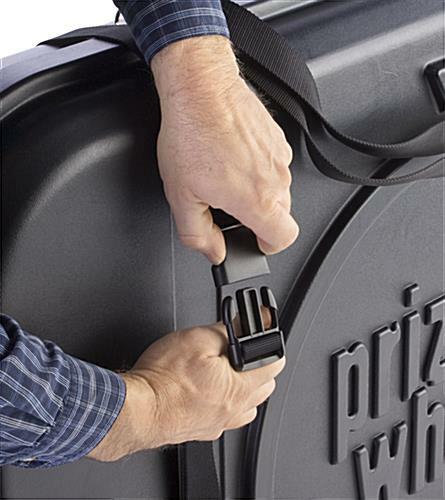 The extra padding will prevent gaming equipment from banging around within a holder and potentially damaging your equipment. 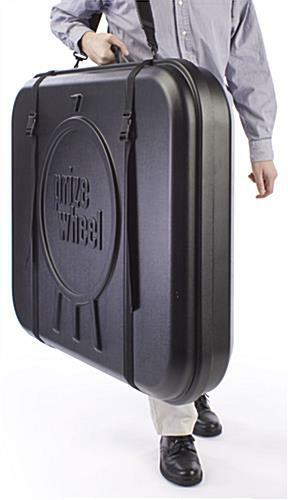 This transport case, also known as shipping cases, is extremely lightweight and portable due to the ABS plastic construction. 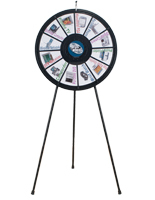 The gaming equipment holder lets users bring presentational supplies along during travel in between events. 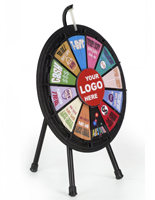 This transport case is an essential tool for any on-the-go corporate event planners or trade show exhibitors. This carrying container includes a removable 2" wide shoulder strap, with sliding rubber grip, for comfort while commuting. 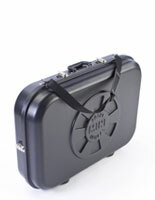 The transport case is securely fastened shut using two 1-1/2" wide adjustable straps with clasps. 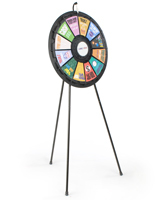 This means your game display will remain protected, inside the container, throughout an entire trip. 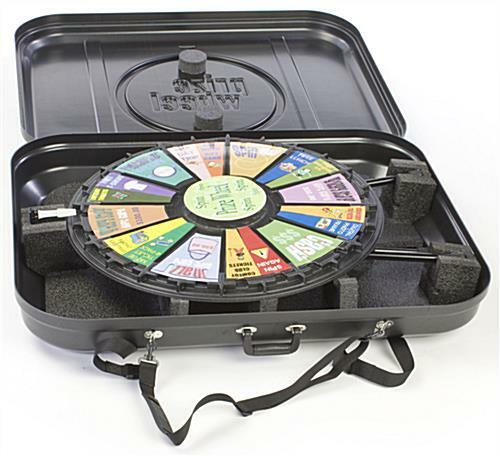 This transport case is ideally meant for those incorporating gaming displays into a presentation. 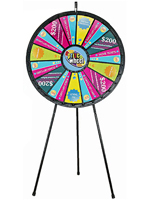 Frequently, you will find prize wheels being used during trade show events and corporate gatherings. 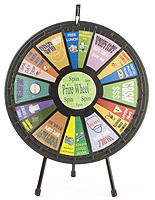 Retail stores, restaurants, bars and fitness centers would all benefit from the addition of a prize wheel, as guests and customers will be drawn to the excitement. 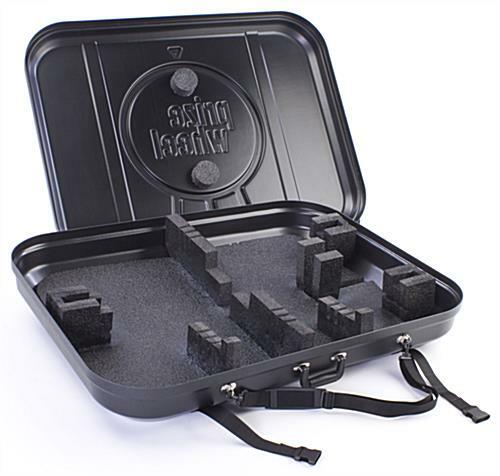 This transport case is an important accessory needed to keep your gaming supplies looking great for many years to come. 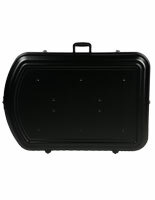 Please Note: This transport case is intended for carrying only & should not be used for shipping without additional protection. Durable, yet light. 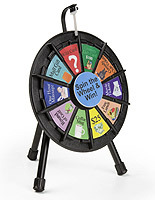 I couldn't imagine trying to manage a wheel without this case.